Are you stuck in transition or need a little clarity? To help you on your journey to find your God-given purpose and discover your spiritual DNA, this book takes you through your structural components to help you discover the purpose for which you were built. Unmask your unique blend, which empowers you to achieve your calling and discover your destiny. •Discover your Spiritual DNA that reveals your God-given identity, purpose and plan. •Learn the 7 critical components that operate together to make the unique blend of the House of You. •See how to easily apply knowledge and insights to map your construction and position yourself in proper environments to thrive. Stop by www.michellechudy.com to get a free worksheet to accompany The House of You: Built for a Purpose. Structured for His Plan. Michelle Chudy is a certified business coach, Christian author, life coach and speaker who currently resides in Lexington, KY. She is the author of the Amazon 3-Category #1 Best Seller The House of You: Built for a Purpose. Structured for His Plan., and also The Battle of Surrender: One Woman's Journey to Sacrifice and Song of the Barren: Miscarriages to Miracles. Michelle has extensive corporate marketing and management experience marking over 20 years, and held positions of: Company Officer, VP of Marketing, Fortune 200 Corporate Business Innovator, Marketing Strategist and Brand Manager. She also proudly served our country for 22 years and is a retired Army Reserve Officer. Through integrated coaching, she brings life to business. Michelle is passionate about helping clients thrive at what they do best, finding their niche, and transforming business challengers into market champions! 5.0 out of 5 starsRefreshing and encouraging! Thank you for this book. Too often we get bogged down with life to remember that we were created for a specific purpose. With so many voices calling, how refreshing to get drawn back to whom we are meant to be. This book is practical and helpful in growth of leadership and personal life. 5.0 out of 5 starsMove Past Mediocrity Toward Greatness! Often times we cannot experience our fullest potential in life because we are constantly dealing with the distractions of our own personal life. If you are ready to propel your life toward your God given destiny then pick up this short read! It will challenge you and help you put your eyes back on the prize. This book helps you to more clearly define who you are and your role in fulfilling God's Plan for His Kingdom!! A very awesome book that ties your true identity that God has ordained for you. I love that the book uses the concept of building a house. Jesus was a carpenter but in those times He was more of an engineer or contractor. 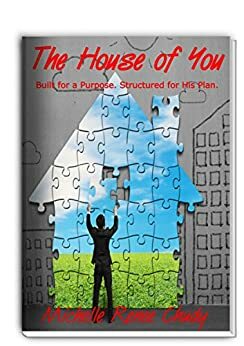 God uses all pieces of us, whether broken or clean to mold into a strong and sturdy house (You).Easy read but very impactful.